This elegant little Church was built in the days of William the Fourth. The land was gifted by the Sneyd family and the neat, post-Georgian building was the work of the famous architect and builder, James Trubshaw, who also built Ashcombe Park, Ilam Hall and Swynnerton Hall. The stone was quarried locally and the cost of building, given as £1,200, was raised by subscription. The first incumbent of Wetley Rocks was the Reverend Henry Sneyd M.A. a son of the Sneyd family of Ashcombe Park. The church was completed by 1834 and the dedication service took place on Saint John the Baptist’s Day, June 24th 1834. In 1901 the chancel was extended making room for choir stalls. Following the millenium building project in 2000 the area at the back of the church (the west end) was re-ordered to provide a parish office, a meeting/creche area, a small kitchen and a toilet with facilities for disabled people. The building has some fine stained glass windows and a pleasing light and airey aspect. The church is surrounded by a well kept churchyard part of which is kept as a wild flower meadow. 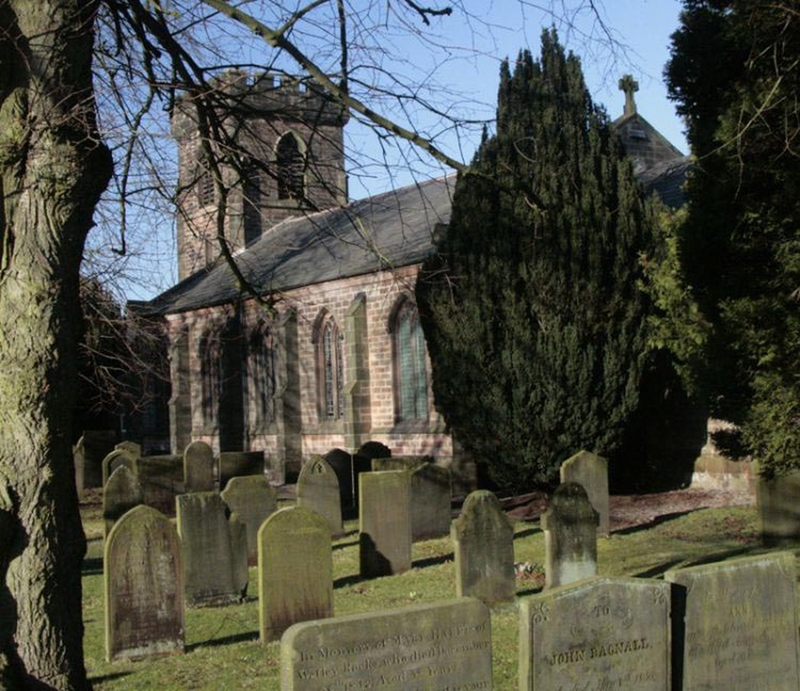 On 1st May 2009 the Parish of Wetley Rocks became a Joint Benefice with the Parish of St. Philip's, Werrington with the Reverend Sue Goodwin as the first Vicar. This was celebrated on Ascension Day ( 21st May) by a special Service beginning with the licensing of the Vicar and ministry of the Word at St. John's in Wetley Rocks and then moving on to St. Philip's in Werrington for Holy Communion. We then finished at the Red Cow in Werrington for a buffet supper together.